Intro: A new film by a budding studio in beautiful Louisiana. Had the pleasure of working with the team for about a month doing some animation. 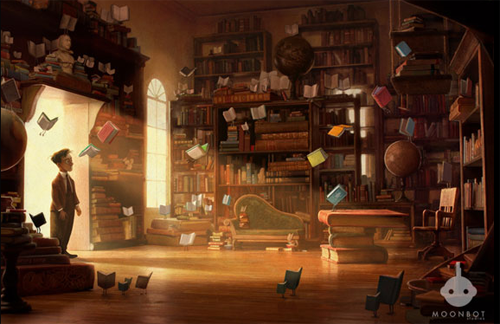 Synopsis: A love letter to books. This Animated film is about the curative power of story. Status: In post production. I was only on the project for the month of September 2010 to help finish things up.